Take a nature break and head to the northern part of the City of Cadillac by foot trail - the Clam River Greenway, a community clean-up project turned into a fantastic community asset for residents and visitors. The pathway will walk you along the banks of the Clam River on traditional paths, boardwalks and bridges, taking you past resident housing, Lincoln Elementary School, onto the CASA Soccer & Baseball Fields. This trail is a 1.6 mile paved greenway, featuring a wooden boardwalk, the sound garden, sun dial, kindermusic flowers, and bridges that open the Clam River to allow for great fishing and toad catching. The Greenway connects Lake Cadillac trails to the Cadillac Area Sports Association Soccer & Baseball fields, while meandering through quaint residential areas. Citizens in the City of Cadillac transformed the inaccessible and long neglected Clam River into a beautiful, walkable “green” and “blue” space. The Greenway features a two-mile, ten-foot wide paved trail, boardwalks, and natural areas that runs through the heart of the city. The trail connects a major outdoor sporting complex at the north end with the Keith McKellop Walkway around Lake Cadillac, which in turn connects with the White Pine (State Park) Trail heading south to Big Rapids and Grand Rapids.  The Clam River Greenway Project became a joint effort of the Cadillac Rotary Club, City of Cadillac, Visitor and Convention Bureau, Cadillac Area Community Foundation, and the Cadillac Area Land Conservancy. A wide variety of people contributed to the effort, including local businesses, youth groups, City officials, employees of the Michigan Department of Environmental Quality, MSU Extension, and more. Each partner contributed specific skill sets, including river restoration and research, fundraising, grant writing, acquiring easements and rights-of-way leases, conducting promotional educational programs, volunteer management, acting as fiduciary and contracting with designers and engineers. Funding came from grants and community donations. “Selling” bricks with one name or business printed on them became one of the long-term fund-raising methods for most of the years of the project. Once those first segments were completed, further support galvanized as people saw and appreciated the potential. With the first segments completed in 2001, it then became a process of “connecting the dots” to produce a continuous line of trail through the city. Although there were issues of right-of-way (needing to obtain leases from adjacent property owners), bridging over protected wetlands, and similar, Stehouwer, a local who grew up in Cadillac and had made his home in the community, remained the principle champion to its completion in 2009. The trail is now about two miles long with a total cost of $800,000. The trail is maintained by the City of Cadillac. Where the Clam River Greenway crosses dense commercial development along Business US-131 the route follows existing city sidewalks – labeled with signs and painted blue footprints as a “portage.” A long-term goal is to accommodate the Greenway when that commercial area redevelops. Born from community inspiration and collaboration, the greenway is a scenic pathway for a fair weather casual stroll, a leisurely bike ride, or cross-country skiing jaunt in the winter. Most sections of the greenway are insulated from city streets and offer numerous seating areas and stopping points, making the path a nice alternative for children and seniors. 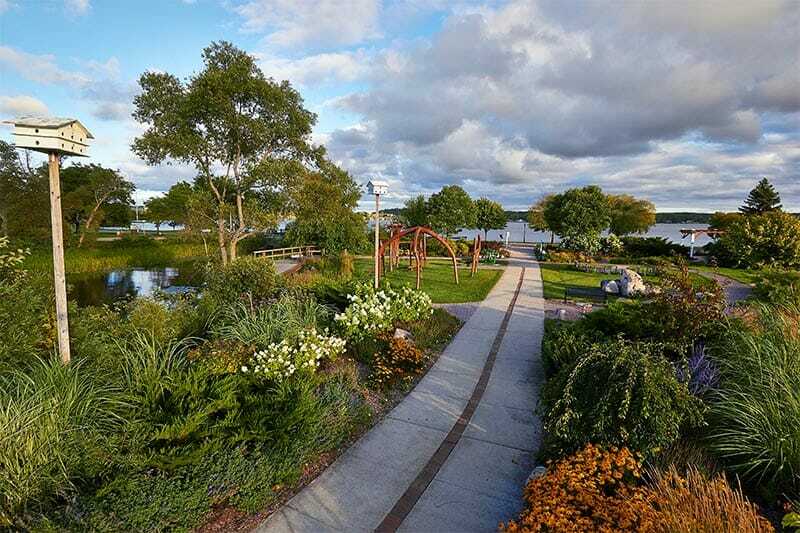 Popular features of the Greenway include a sound garden, sundial, kinder music flowers, and bridges that open to the Clam River allowing for great fishing opportunities.